DMX Splitter used to simplify 'daisy-chain' wiring on DMX LED Installations. A complete range of programmable dmx controllers. Used to create custom LED lighting programmes, LED lighting scenes and LED DMX Display animations. These programmable dmx controllers can operate in live or stand alone mode where everything from simple residential lighting scenes to complex led display illuminations can be achieved. We also offer DMX programming as a service. These DMX stand alone controllers provide an easy interface and give users colour mixing / colour change programmes. 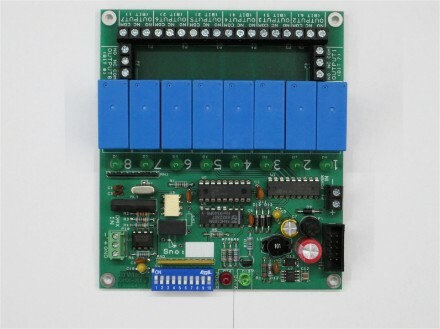 They output DMX signals to a compatible DMX Dimmer / DMX Driver card to complete the light control system. 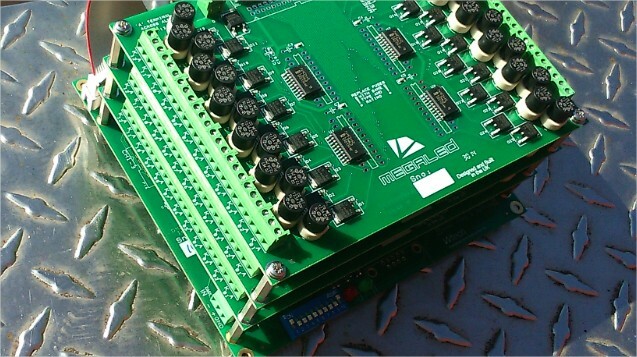 From receipt of a DMX signal, these cards can drive and dim your led lights. Comprehensive led control range, with our cards vailable in many versions and modular configurations for both constant voltage or constant current " powerled " types. 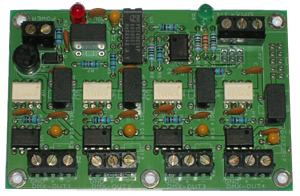 Our modular DMX systems feature seperate decoder and drivers and our all-in-one DMX led controller cards have the driving circuitry on board. 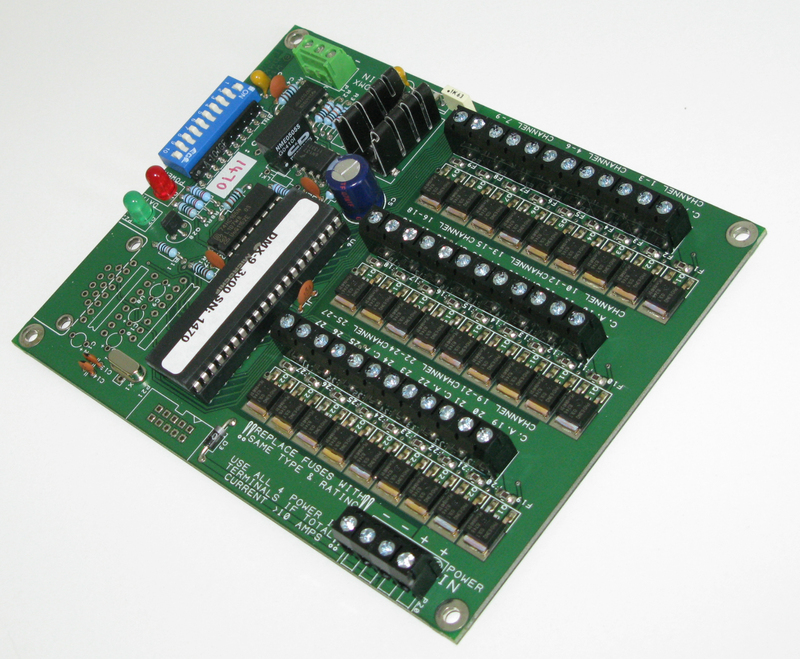 All of our control cards can all be custom built and have embedded programmes, some have USB and RS232 interfaces. As standard MegaLED offer DMX led control solutions for: 3channel, 6channel, 12 channel, 25 channel, 27 channel, 50channel and 75 channels - and multiples thereof. 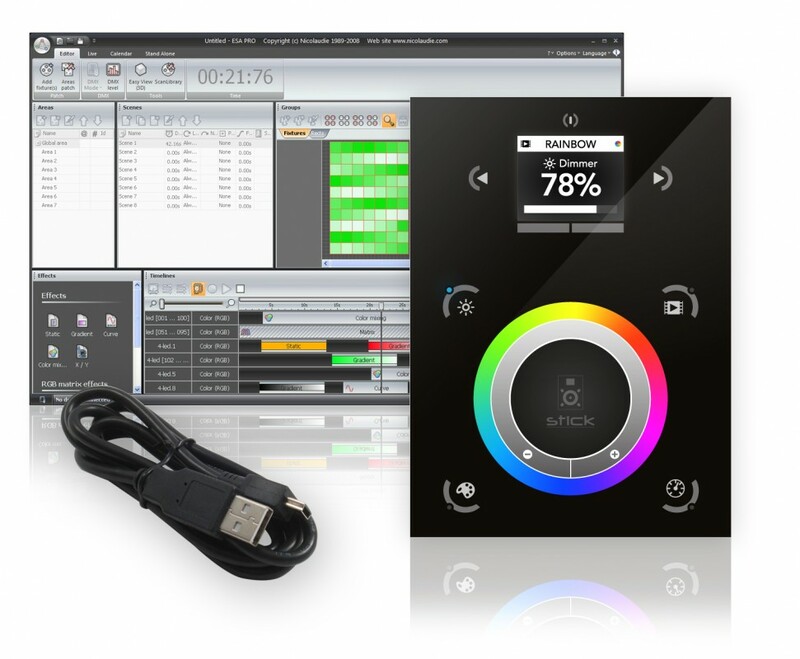 We also offer a very useful DMX Diagnostic tool "DMX Doctor" for led installars, a great DMX splitter and some DMX Relays for on/of switching of electrical loads, lights and transformers. Modular, multi channel system for creating either 25, 50 or 75 channel "stacks". Modular and multi-channel, so it's ideal for mixed use constant voltage and/or constant current "powerled" type LED Lighting Systems.